“Mom, I’m bored…” that statement is like nails on a chalk board to me. Usually the complaint is announced by my 5 year old son when we are running errands or at one of his sister’s practices or shows. Guilty, I am, of handing him my phone or iPad but my tolerance for this wining is low. And I feel sorry for him, he’s bored. I confess, in these times, I as well, am engaging in mindless surfing. And that is the question, do we need to be stimulating our brains with our devices constantly? Should we let ourselves get bored and space out? Researchers are studying the cognitive effects of boredom and mind-wandering. What they found so far- Boredom Leads To More Creativity! Constant stimulation does not allow for creative thought. Spacing-out (mind-wandering) or day dreaming gives the brain much needed downtime. A brain on idle allows conscious and subconscious thoughts to kick in. This leads to sprouting of original ideas which fuel the creative juices. Also people reported improvement in self-reflection and problem solving. I grew up in the pre-cell phone pre-internet era where ‘day dreaming’ or ‘spacing out’ was a daily occurrence. As an American, I also grew up with the idea that ‘day dreaming’ or ‘spacing out’ is an unproductive act. Time should be spent more wisely doing something. So when Apple released the first iPhone in 2007, now you have the world right in your pocket! It is not surprising that Americans hitched on so quickly. -Average American spends 2 hours and 48 mins a day on mobile devices. (Flurry study, 2014). -44% sleep with their phone next to their beds. Check out the informational web-site, ‘New Tech City’ Manoush Zomorodi, host of the WNYC podcast recently launched a project coined ‘Bored and Brilliant: The Art Of Spacing Out’. They asked participates to put down their phones and become bored once a day. Then a task was requested to create or do something, such as, construct your dream home out of stuff from your wallet. -Got new ideas. Had creative and brilliant moments. Many were challenged with putting down their phone. It was very hard and some described having a “withdraw” effect. In the end, most felt more satisfied in their lives and will continue to limit their usage. Remember: allow time to just THINK without being entertained by your device. This will help you connect- BACK TO YOURSELF. Of course, there’s an app for that-called ‘Moment’ it will track how often you check your phone and usage time. It is suggested to limit your usage to 30-95 mins a day. 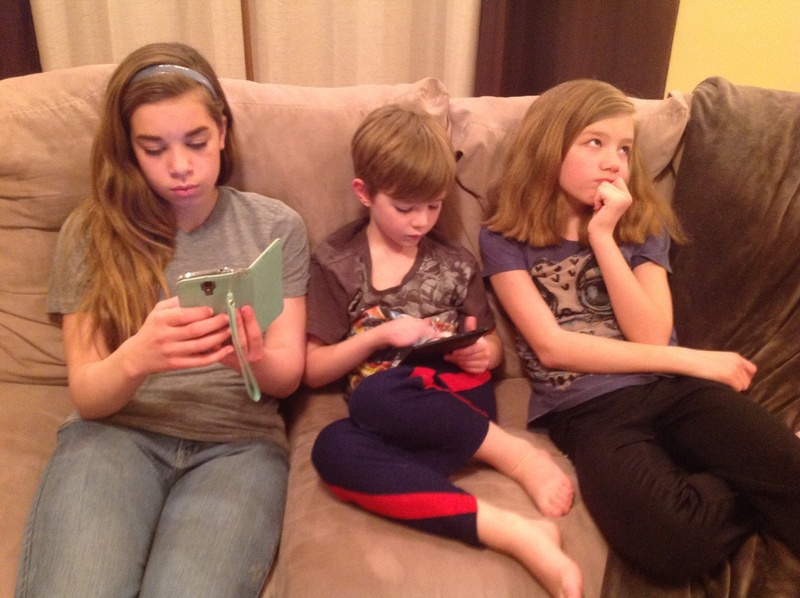 For technology use by kids, it is suggested by Dr. L. Rosen, a researcher psychologist, to use a 1:5 ratio. Every 1 minute of screen time should be equivalent to 5 mins of non-tech activities (ex: 30 mins of iPad: 150 minutes of other activities). In teens, technology becomes more important for school work and social life so the ratio flips to 5:1. Now when I hear… Mom I’m bored, I respond THAT IS GREAT! now you have the opportunity to exercise creativity (O-TEC). “It’s O-TEC time”. This little acronym nugget came from my boredom. Brilliant huh?! Maybe I should stick to my phone. This entry was posted in boredom, cognition, creative, Family and health, health care, Psycholog and tagged boredom, brain health psychology, Creative. Bookmark the permalink. Thank you,after researching this topic I have been more conscious of screen time for myself and my kids. Thank you for catching the error, I meant “tried” not tired, I fixed it. I appreciate that.